"Often, flash fiction collections come to us like a box of light bulbs, meant to be sifted through and shuffled about, fit into various sockets. But The Passion of Woo & Isolde comes to us as a sparkling set, doing the rare business of working singularly and with each of the three parts and in the triptych as a while. Together, they light the whole room." "The Passion of Woo & Isolde, by Jennifer Tseng, winner of the 11th annual Rose Metal Press Short Short Chapbook Contest, is tiny fiction at its best, a shining example of the powerful punch short fiction can deliver. Divided into three parts, there are 24 short fictions, and each one can be read in a couple of minutes or less, but you’ll want to stay with them longer. You’ll want to breathe in the beautiful prose, soak in the rich language, and linger with the quirky characters." 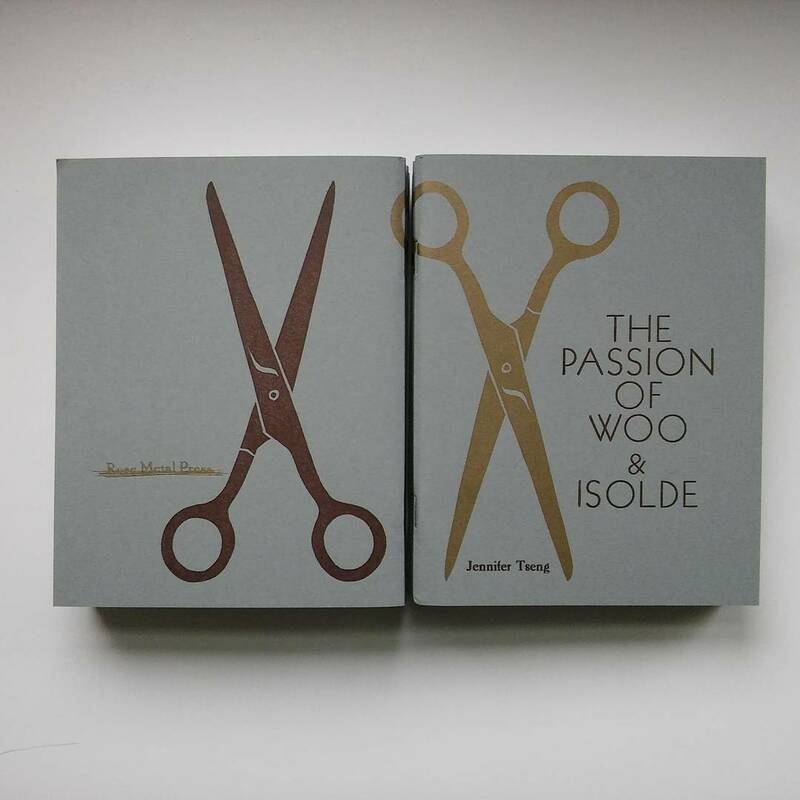 Buy THE PASSION OF WOO & ISOLDE from Rose Metal Press.